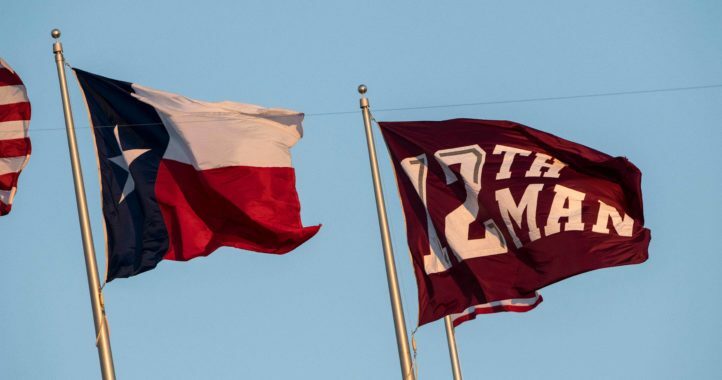 Texas A&M has now faced two of the best teams in the nation and lost to them both. 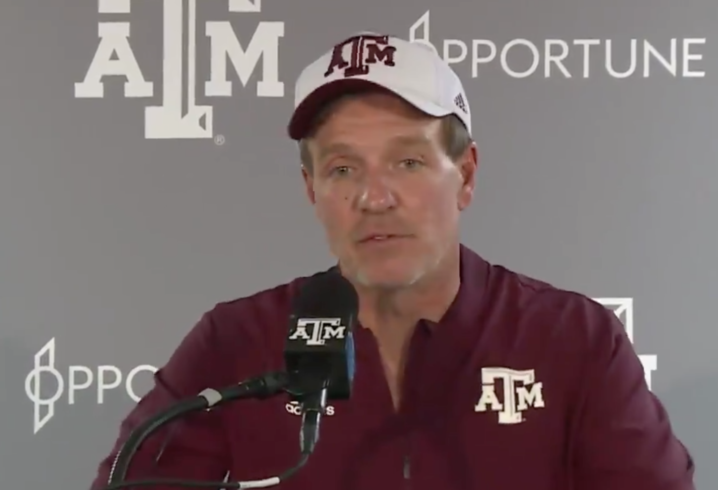 While that was predicted by nearly everyone entering the 2018 season, it’s clearly not what Jimbo Fisher would have predicted heading into his first season as Aggie head coach. If you missed the closing moments of Texas A&M’s 45-23 loss to Alabama in Tuscaloosa, Fisher called a timeout with seconds remaining in the game. 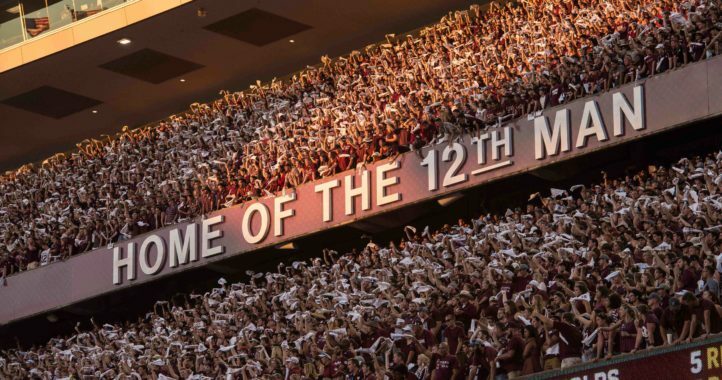 The home crowd was not satisfied, booing the decision of the Aggie coach. The game was clearly decided at that point of the contest but Fisher doesn’t believe in coaching that way and he’s trying to instill to his players that that won’t be the way they will play for him. Here is what Fisher had to say during his post-game press conference when asked about taking the timeout. "I'm unhappy that we didn't play better in some critical times, and I'm not happy I have to coach better…but i'm not discouraged. Far from discouraged. I'm actually encouraged about the things we can do." Can’t believe there’s even an article about this. Jimbo is a coach trying to instill a culture of playing for 60 minutes. The timeout was a no brainer. He had a chance to put more points on the board and that’s how you play the game. I wouldn’t expect anything else from a coach with a winning mentality. I wouldn’t fault Saban, up 20, for calling a ti.eout near the end of the game if they were in a position to score. As Jimbo said, we gotta teach em to play the entire game. What? You think Saban would call a timeout to run up the score on someone? No way, and if he did, he’d be publicly shamed. That’s what’s odd about this. If you keep scoring late for no reason then you’re classless and running up the score, but if you do what Jimbo did then you’re just playing hard. Can’t have it both ways. couldn’t be me I know how to beat bama…. I didn’t say he would. I said I wouldn’t fault him. Jimbo is trying to change a culture at A&M. The game is 60 minutes. You play 60 minutes. Never quit. Even if you’re down by 3 scores. Get that in those kids heads and, hopefully, we won’t see another November collapse. It’s not that serious and it’s not the equivalent to running up the score. I don’t anyone but Alatide has a problem with what was done. Just let the man coach. It was a coaching moment. Nothing more. Stop being so fragile. The whole stadium booed him, but yeah, it’s just me. My only issue with it is that is that A&M didn’t appear to be trying to win in the 3rd quarter. It was like 38-13 or something and A&M is gonna for a field goal in the red zone. So they were planning on stopping an Alabama team that scored 38 in 2.5 quarters from scoring any more and then A&M would have to score more in 1.5 quarters than they had all game. Nope. If A&M was playing for the win they had to at least attempt tds from the redzone. But at the end of the game he’s taking 2 time outs in the final 3 seconds an going for TDs against Alabama’s 2nd string. Fine. Play to win. But hat doesn’t mean you need to extend the game artificially which only risks injuries to both teams and why go for TDs when you weren’t earlier when they could have kept a game reachable. He just was desperate to try and put as many points up as he could. And he risked his players to do it. Alabama was playing 60 minutes too but we weren’t running two minute offenses in garbage time. 22 points behind is a 3 score game in the 3rd quarter. Unlikely to come back on Alabama, but staying 25 down and a 4 score game is even more unlikely. I have no problem with that field goal.